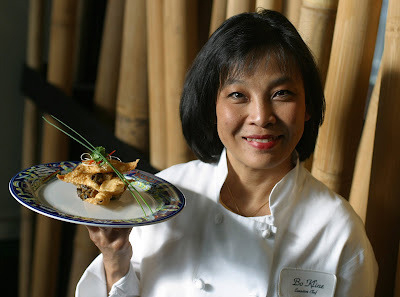 Typhoon, owned and operated by award-winning chef Bo Kline and her husband, Steve, is part of Portland-based Typhoon Restaurant Group. I’ve learned this morning that the Seattle restaurant — recreated in the husk of the original Wild Ginger — quietly closed after service Saturday night, and I’m waiting for a call back from the Klines. According to their corporate office, they’re busy on the Redmond campus at Microsoft today preparing to open yet another Typhoon adjunct. I’ll offer more news as I get it.